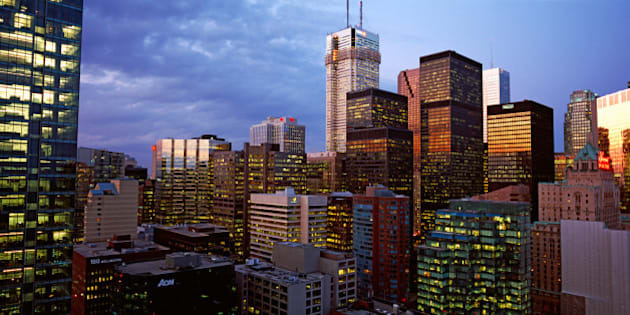 TORONTO - CIBC World Markets says corporate profit margins hit a 27-year high in the fourth quarter and are likely to remain strong despite the recent softening in the economy due to the oil price shock. According to a new study released Tuesday, the average profit margin of all non-financial corporations rose to 8.2 per cent of sales in the fourth quarter of 2014. Even after excluding the recently hard-hit energy sector, it says profit margins are currently at their highest in almost three decades at 7.6 per cent. Furthermore, CIBC (TSX:CM) says the gap between non-energy profit margins and real GDP growth is about as large as in any non-recessionary period in the past 25 years. The study found two factors that were largely at work for the most recent increases over the last two years — softening labour costs and a sinking loonie. It said the pace of growth in labour costs dropped sharply from 3.5 per cent in 2012 to one per cent in 2014, while the Canadian dollar has depreciated nearly 25 per cent. "No less than one-third of Canadian GDP last year was produced by sectors with falling labour unit costs," said Benjamin Tal, the bank's deputy chief economist, who authored the report. "But, more important is the lift companies are getting from the loonie's demise." He estimates the depreciation in the value of the dollar is responsible for at least a full percentage point increase in average profit margin since 2012." But the impact of the loonie's decline has been far from uniform. Export sectors, such as agriculture and manufacturing, are the biggest beneficiaries, with sub-sectors in the latter like wood products, pulp and paper, motor vehicles, electrical equipment, clothing, textile and basic chemicals leading the way. The lift to profit margins in the transportation industry is mostly in rail and truck sub-sectors, while air transport is marginally negative. While corporate profit margins fluctuate with the economy, historically they have tended to average less than five per cent. However, Tal argues that structural changes over the last decade have moved that average above six per cent. "By all measures, higher corporate profit margins are here to stay," he said. "Some of the structural forces that helped to elevate the trajectory of corporate profitability might start to fade in the coming years, but for the here and now, profit margins are fully supported by the fundamentals."